Citation Information: JCI Insight. 2017;2(19):e89381. 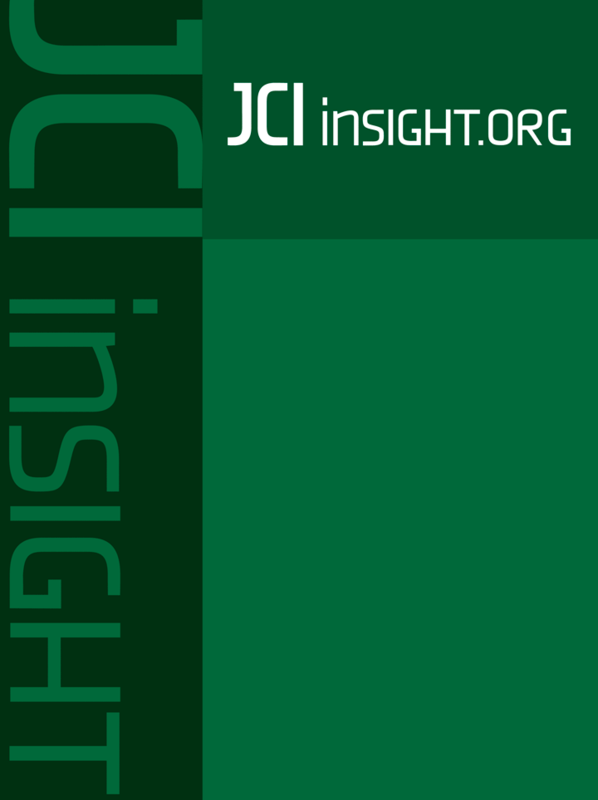 https://doi.org/10.1172/jci.insight.89381. Citation Information: JCI Insight. 2017;2(19):e92564. https://doi.org/10.1172/jci.insight.92564. GPR81 is a receptor for the metabolic intermediate lactate with an established role in regulating adipocyte lipolysis. Potentially novel GPR81 agonists were identified that suppressed fasting plasma free fatty acid levels in rodents and in addition improved insulin sensitivity in mouse models of insulin resistance and diabetes. Unexpectedly, the agonists simultaneously induced hypertension in rodents, including wild-type, but not GPR81-deficient mice. Detailed cardiovascular studies in anesthetized dogs showed that the pressor effect was associated with heterogenous effects on vascular resistance among the measured tissues: increasing in the kidney while remaining unchanged in hindlimb and heart. Studies in rats revealed that the pressor effect could be blocked, and the renal resistance effect at least partially blocked, with pharmacological antagonism of endothelin receptors. In situ hybridization localized GPR81 to the microcirculation, notably afferent arterioles of the kidney. In conclusion, these results provide evidence for a potentially novel role of GPR81 agonism in blood pressure control and regulation of renal vascular resistance including modulation of a known vasoeffector mechanism, the endothelin system. In addition, support is provided for the concept of fatty acid lowering as a means of improving insulin sensitivity. Citation Information: JCI Insight. 2017;2(19):e92973. https://doi.org/10.1172/jci.insight.92973. Mycobacterium tuberculosis (Mtb) is a global health threat, compounded by the emergence of drug-resistant strains. A hallmark of pulmonary tuberculosis (TB) is the formation of hypoxic necrotic granulomas, which upon disintegration, release infectious Mtb. Furthermore, hypoxic necrotic granulomas are associated with increased disease severity and provide a niche for drug-resistant Mtb. However, the host immune responses that promote the development of hypoxic TB granulomas are not well described. Using a necrotic Mtb mouse model, we show that loss of Mtb virulence factors, such as phenolic glycolipids, decreases the production of the proinflammatory cytokine IL-17 (also referred to as IL-17A). IL-17 production negatively regulates the development of hypoxic TB granulomas by limiting the expression of the transcription factor hypoxia-inducible factor 1α (HIF1α). In human TB patients, HIF1α mRNA expression is increased. Through genotyping and association analyses in human samples, we identified a link between the single nucleotide polymorphism rs2275913 in the IL-17 promoter (–197G/G), which is associated with decreased IL-17 production upon stimulation with Mtb cell wall. Together, our data highlight a potentially novel role for IL-17 in limiting the development of hypoxic necrotic granulomas and reducing disease severity in TB. Citation Information: JCI Insight. 2017;2(19):e93456. https://doi.org/10.1172/jci.insight.93456. Glaucoma is an optic neuropathy characterized by progressive degeneration of retinal ganglion cells (RGCs) and visual loss. Although one of the highest risk factors for glaucoma is elevated intraocular pressure (IOP) and reduction in IOP is the only proven treatment, the mechanism of IOP regulation is poorly understood. We report that the P2Y6 receptor is critical for lowering IOP and that ablation of the P2Y6 gene in mice (P2Y6KO) results in hypertensive glaucoma–like optic neuropathy. Topically applied uridine diphosphate, an endogenous selective agonist for the P2Y6 receptor, decreases IOP. The P2Y6 receptor was expressed in nonpigmented epithelial cells of the ciliary body and controlled aqueous humor dynamics. P2Y6KO mice exhibited sustained elevation of IOP, age-dependent damage to the optic nerve, thinning of ganglion cell plus inner plexiform layers, and a reduction of RGC numbers. These changes in P2Y6KO mice were attenuated by an IOP lowering agent. Consistent with RGC damage, visual functions were impaired in middle-aged P2Y6KO mice. We also found that expression and function of P2Y6 receptors in WT mice were significantly reduced by aging, another important risk factor for glaucoma. In summary, our data show that dysfunctional purinergic signaling causes IOP dysregulation, resulting in glaucomatous optic neuropathy. Citation Information: JCI Insight. 2017;2(19):e93686. https://doi.org/10.1172/jci.insight.93686. Cystic fibrosis (CF) is a genetic disorder in which epithelium-generated fluid flow from the lung, intestine, and pancreas is impaired due to mutations disrupting CF transmembrane conductance regulator (CFTR) channel function. CF manifestations of the pancreas and lung are present in the vast majority of CF patients, and 15% of CF infants are born with obstructed gut or meconium ileus. However, constipation is a significantly underreported outcome of CF disease, affecting 47% of the CF patients, and management becomes critical in the wake of increasing life span of CF patients. In this study, we unraveled a potentially novel molecular role of a membrane-bound cyclic guanosine monophosphate–synthesizing (cGMP-synthesizing) intestinal enzyme, guanylate cyclase 2C (GCC) that could be targeted to ameliorate CF-associated intestinal fluid deficit. We demonstrated that GCC agonism results in functional rescue of murine F508del/F508del and R117H/R117H Cftr and CFTR mutants in CF patient–derived intestinal spheres. GCC coexpression and activation facilitated processing and ER exit of F508del CFTR and presented a potentially novel rescue modality in the intestine, similar to the CF corrector VX-809. Our findings identify GCC as a biological CFTR corrector and potentiator in the intestine. Citation Information: JCI Insight. 2017;2(19):e94275. https://doi.org/10.1172/jci.insight.94275. Citation Information: JCI Insight. 2017;2(19):e96031. https://doi.org/10.1172/jci.insight.96031. The innate immune response shapes the development of adaptive immunity following infections and vaccination. However, it can also induce symptoms such as fever and myalgia, leading to the possibility that the molecular basis of immunogenicity and reactogenicity of vaccination are inseparably linked. To test this possibility, we used the yellow fever live-attenuated vaccine (YFLAV) as a model to study the molecular correlates of reactogenicity or adverse events (AEs). We analyzed the outcome of 68 adults who completed a YFLAV clinical trial, of which 43 (63.2%) reported systemic AEs. Through whole-genome profiling of blood collected before and after YFLAV dosing, we observed that activation of innate immune genes at day 1, but not day 3 after vaccination, was directly correlated with AEs. These findings contrast with the gene expression profile at day 3 that we and others have previously shown to be correlated with immunogenicity. We conclude that although the innate immune response is a double-edged sword, its expression that induces AEs is temporally distinct from that which engenders robust immunity. The use of genomic profiling thus provides molecular insights into the biology of AEs that potentially forms a basis for the development of safer vaccines. Citation Information: JCI Insight. 2017;2(19):e96260. https://doi.org/10.1172/jci.insight.96260. The monocyte lineage is essential to normal wound healing. Macrophage inhibition or knockout in mice results in impaired wound healing through reduced neovascularization, granulation tissue formation, and reepithelialization. Numerous studies have either depleted macrophages or reduced their activity in the context of wound healing. Here, we demonstrate that by increasing the number of macrophages or monocytes in the wound site above physiologic levels via pullulan-collagen composite dermal hydrogel scaffold delivery, the rate of wound healing can be significantly accelerated in both wild-type and diabetic mice, with no adverse effect on the quality of repair. Macrophages transplanted onto wounds differentiate into M1 and M2 phenotypes of different proportions at various time points, ultimately increasing angiogenesis. Given that monocytes can be readily isolated from peripheral blood without in vitro manipulation, these findings hold promise for translational medicine aimed at accelerating wound healing across a broad spectrum of diseases.